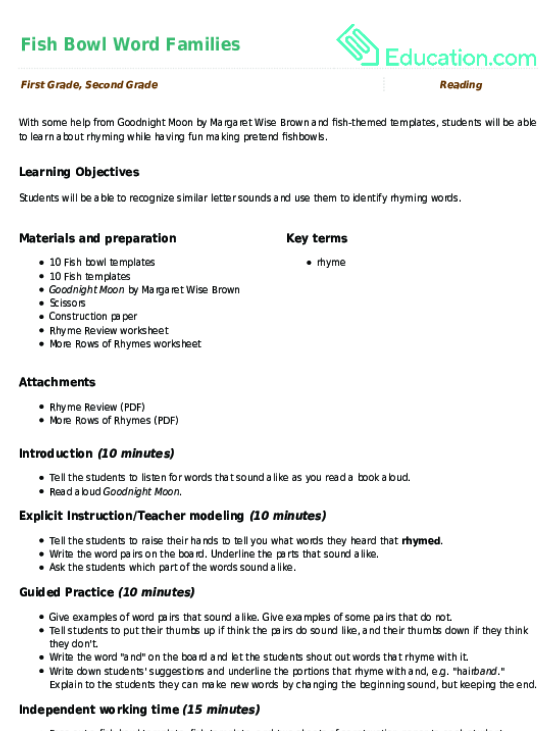 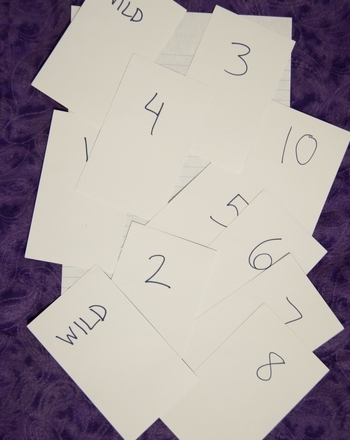 Looking for an advanced cutting and pasting project that will give your child a creative boost? 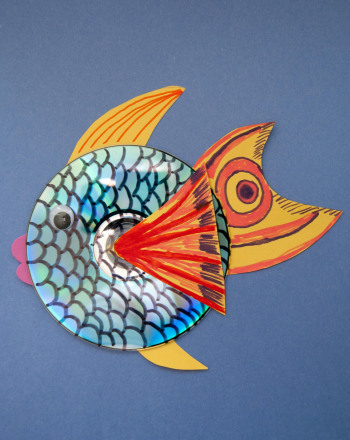 Look no further than this fun printable project, which allows your child to cut out paper mosaic squares and then paste them onto a fish shape to make a colorful mosaic. 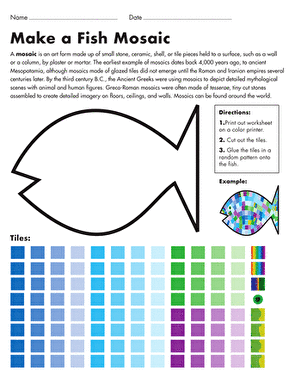 Great for hand-eye coordination and concentration, this printable is also full of interesting facts about mosaics. 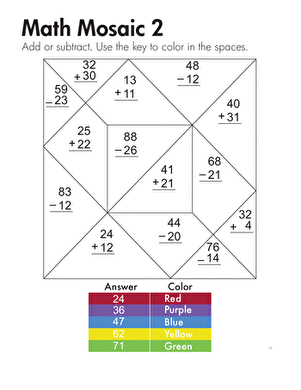 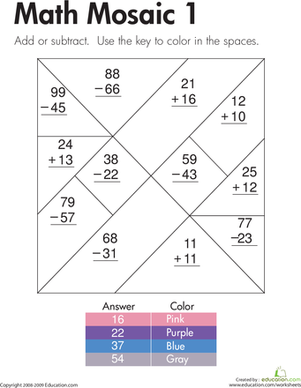 After kids solve the two-digit addition and subtraction problems on this year three maths worksheet, they use the key to colour in the shapes on the mosaic.